When you are concerned about maintaining or losing weight, sugar free soda may seem like a great treat to incorporate into your diet. With the average calorie cost of a sugary soda coming in at an average of 140, for soda lovers the diet options can seem like the perfect solution to those urges for sweets. However, there are a number of reasons why diet soda is not such a healthy option and could compromise your plans for healthy eating. According to the author of the book The Sugar Detox, Dr Brooke Alpert, artificial sweeteners which are contained in diet soda drinks have a far greater sweet taste when compared to actual sugar. Over time this can dull our sugary senses to natural sugar sources such as fruit. Additionally, there is worrying evidence that sugar substitutes have a similar effect on the body as sugar, triggering the production of insulin and leading your body into “fat storage mode” which promotes weight gain. A study conducted by the University of Minnesota, documented that there was an increased risk of developing diabetes of sixty seven percent associated with drinking a single can of diet soda per day. The study also recorded an increased risk of developing metabolic syndrome. 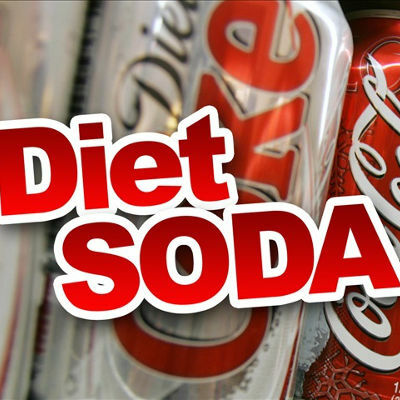 The study concluded that there are “significantly greater risks” associated with regularly drinking diet soda.